When first constructed, The Edmond Meany Hotel was a community effort. A committee of 50 people from various industries sponsored the project in 1930. They raised $297,700 which enabled them to buy the site and start construction. By the end of the project, the hotel was valued at $1 million. It was one of the first “sky scrapers” in the University District and remains an impressive landmark today. Since its origin as The Edmond Meany Hotel in 1931, the hotel has remained a fixture among Seattle’s University District hotels. The hotel has undergone 3 owner changes and 4 name changes over its 75 year life. The hotel was bought by Starwood Lodging in 1995. The new owners kept the original name for a few years, but then changed it to the Meany Tower Hotel, then The University Tower Hotel and is now of course, Hotel Deca. In 1938, the Edmond Meany Hotel was part of a national architecture exhibition on art-deco style. 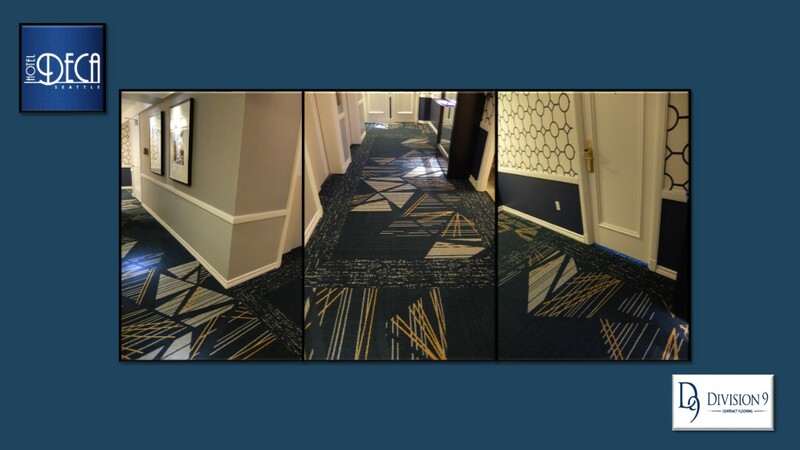 Throughout its lifespan, Hotel Deca has undergone several renovations and remodeling phases to modernize its art-deco style while maintaining the integrity of the architecture. Prestigious hotel designer, Robert Reamer was chosen to create the design for the hotel. Art Deco was first introduced to American Architectures in 1925. 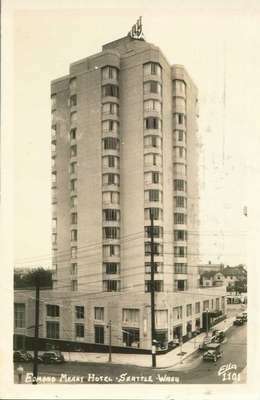 The Edmond Meany Hotel was also one of the first continuously poured concrete structures in the Pacific Northwest. The hotel was one of Reamer’s most acclaimed designs.